Led by newly appointed Artistic Director Jasmin Saulo and company assistant Marvin Drew, we are thrilled to announce that the East London Youth Dance Company (ELYDC) is back with a brand new group of young dancers for an exciting year of development and performance opportunities. With a strong base in hip hop and contemporary foundations Jasmin Saulo brings a unique style of movement to the company. We are excited to see her lead ELYDC’s development and can’t wait for you all to see them perform at various events and venues throughout the year. Keep your eyes peeled, and don’t miss out on the opportunity! After an action packed day where participants were challenged and encouraged to push themselves physically and mentally the audition panel were able to select 14 passionate and determined movers for the company. Alongside new recruits ELYDC consists of individuals who have engaged with East London Dance on several other programmes throughout the year, including our 5FOR5 Summer Intensive which gave 10-16 year olds a chance to train for free, learning various dance styles from five professional artists throughout the week. 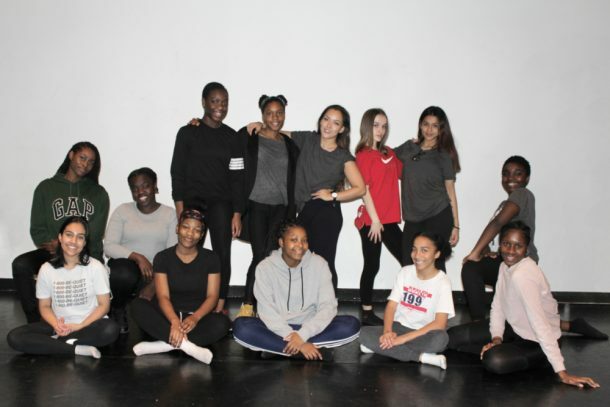 If you missed the audition and are aged between 13–17, East London Youth Dance Company are inviting you to join their open technique class for free, every Saturday 10:00am-11:30am. Find out more here.